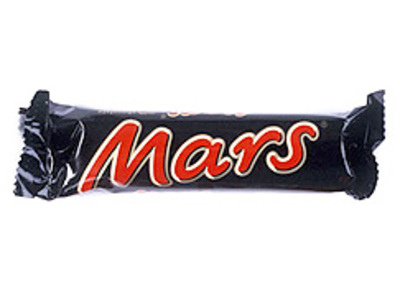 <strong>The Mars Bar</strong> is a chocolate bar manufactured by Mars Incorporated. It was first manufactured in Slough in the United Kingdom in 1932 as a sweeter version of the Milky Way bar which Mars produced in the USA. It is made of chocolate-malt nougat topped with a layer of caramel and covered with milk chocolate, and is still marketed outside the USA. <strong>Snickers</strong> is a candy bar made by Mars, Incorporated. It consists of peanut butter nougat topped with roasted peanuts and caramel covered with milk chocolate. Snickers is the best selling candy bar of all time and has annual global sales of US$2 billion. 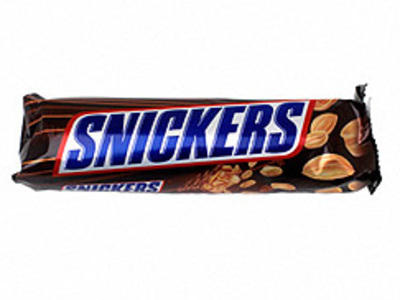 The original Snickers was formerly sold as Marathon in the UK and Ireland.